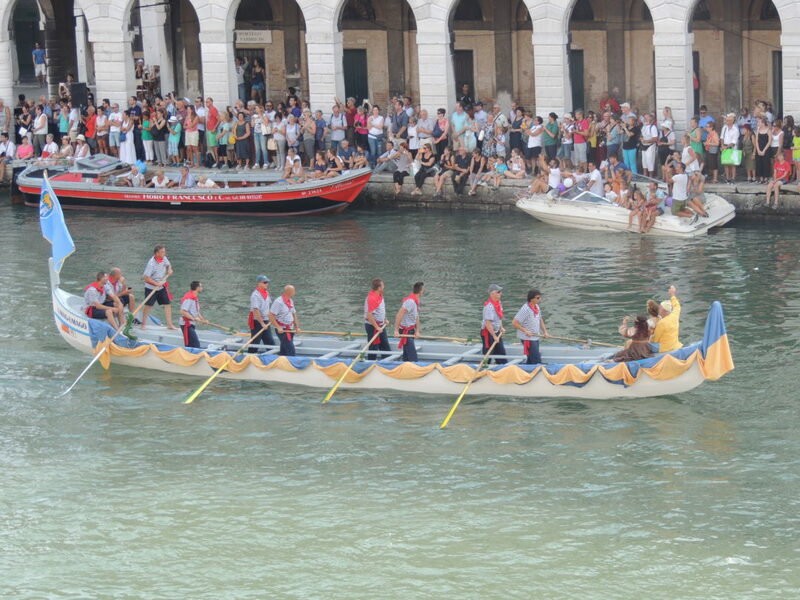 The Historical Regatta is the main event in the annual “Voga alla Veneta” rowing calendar. 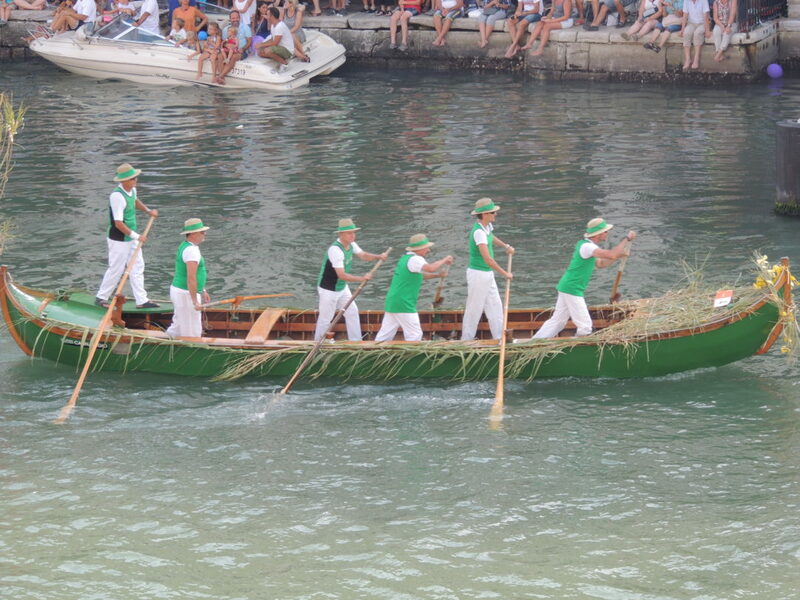 This unique sport (only to take place in Venice once a year) has been practiced in the Venetian lagoon for thousands of years. This year, the historical event took place on Sunday, September 4, 2016, at approximately 4:00 pm. Of course in true Italian fashion, it really didn’t begin until about 4:45 pm. 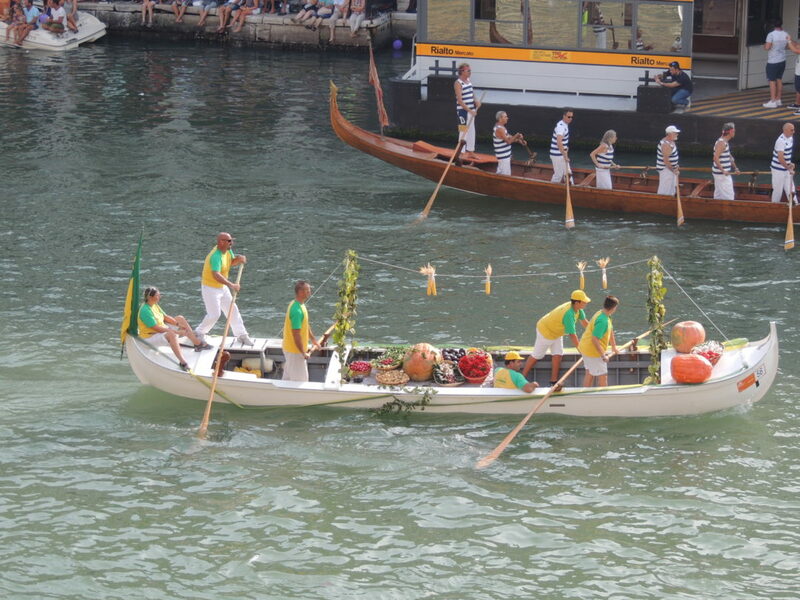 Before the official race begins, the Historical Water Pageant takes place. 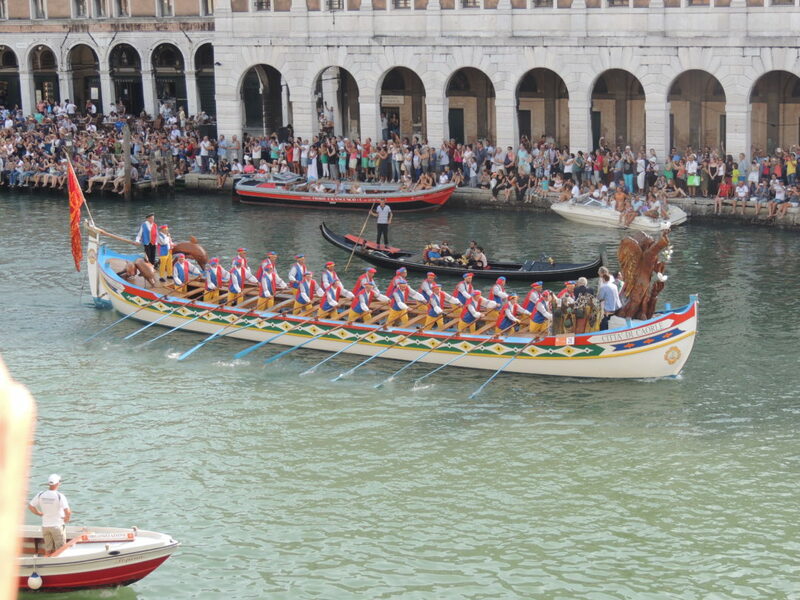 The music plays and the cheers begin as dozens of 16th-century style boats with gondoliers in period costumes bring the “Doge and his wife” up the Grand Canal. 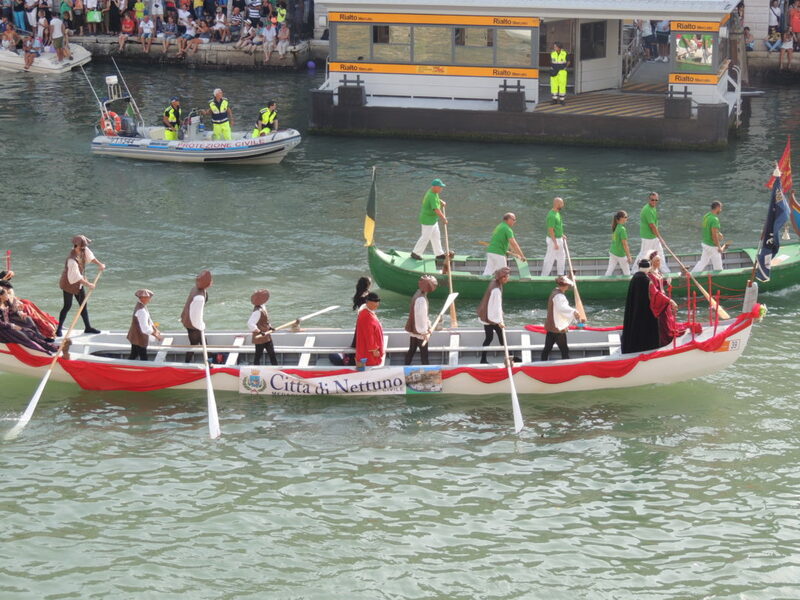 The water parade commemorates the welcome given in 1489 to Caterina Cornaro, the wife of the King of Cyprus, who renounced her throne in favor of Venice. This was a memorable sight in a true reconstruction of the glorious past of Venice. 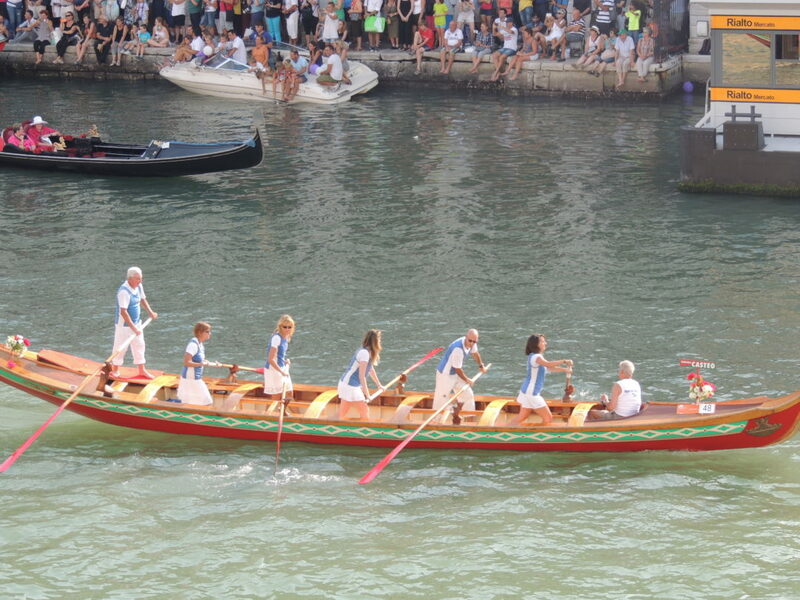 Today, the most popular race is the gondolini regatta (shown below). The entire event was watched in our hotel room. It was a sight I will never forget and enjoyed every moment.